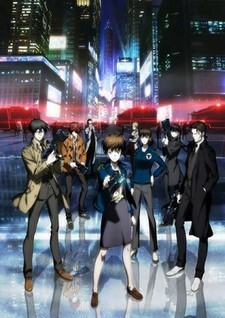 Taking place one-and-a-half years after Psycho-Pass, having learned the true nature of the Sibyl System, Akane Tsunemori chose to obey the system, believing in both humanity and the legal order. She's part of a new police section and spends her everyday life facing down criminals. Unbeknownst to Akane, however, a monster who will shake the system to its core is about to appear before her. "Have you ever wondered what Psycho-Pass would be like if it were devoid of everything that made it good?" While a decent show, the length means the characters don't have enough time to develop fully.